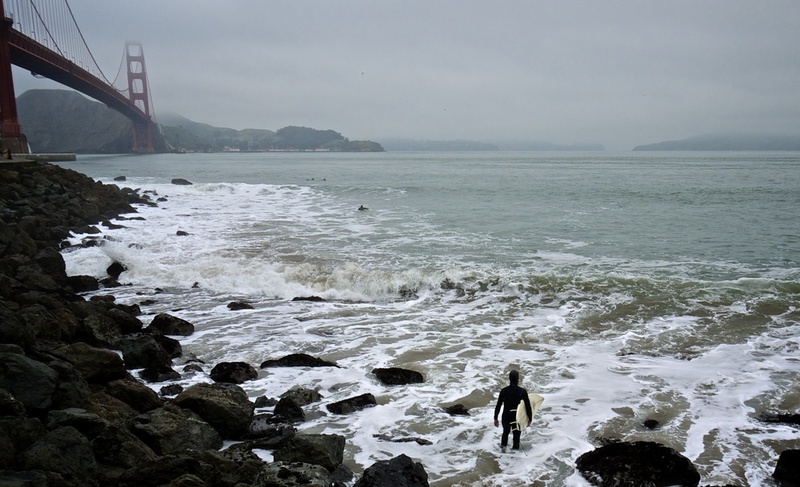 Even while still on the Golden Gate Bridge, I could see a surfer near the rocks at Fort Point. It was about 45℉ in air temperature, who knows what the water was like! 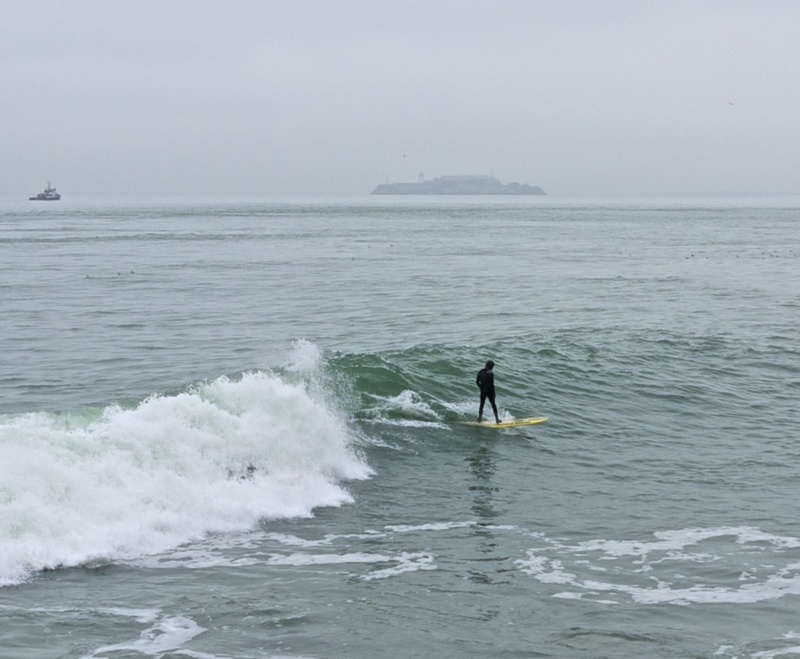 When I had made it off the bridge and down to Fort Point, several more surfers were in the water with more getting ready to go in.